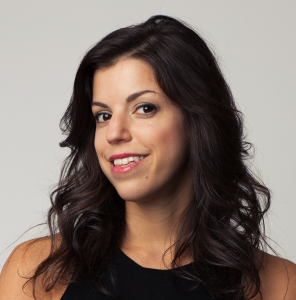 Today’s Pro Interview features Gabriella Rackoff, Creative Director at 88 Creative in Toronto. Pagezii – Gabriella, please tell us a bit about yourself. Gabriella – I originally went to university for theater, although it proved not to be a good fit for me. I liked making things, but I wasn’t sure what career options were out there. I did a few different internships, including one at Fashion Television Channel, to get an idea of what I wanted to do. When I eventually made the decision to go back to school for another degree, I stumbled upon the Creative Advertising program at Seneca College and found that everything on the course list was something I wanted to learn about. After graduation, I spent time working as a graphic designer and researcher for the fashion direction office at the Hudson’s Bay Company and then as a copywriter at TAXI, before landing at what would eventually become my current role. 88 Creative began as a small digital marketing division of BuzzBuzzHome, a Toronto real estate startup, and I was employee number two. As our team grew, it became apparent to me that someone in a creative director role was needed, even though the team wasn’t originally conceived as an agency, and I gave myself the job. That was about six years ago, and last year 88 Creative became independently operated and we’ve grown to 14 team members. Pagezii – What is 88 Creative? Gabriella – We’re a multidisciplinary communications agency. Broadly, we offer PR services, branding and graphic design, and digital-first integrated campaigns. While clients might come to us for any of these services in any combination, we really have a passion for helping clients find solutions they didn’t know they needed. We love helping clients hone all aspects of their businesses as well as their marketing so customers get the best possible user experience. A marketer might be able to think of a web experience as distinct from content, for example, but most consumers make much more sweeping judgments and have an instinctual sense of whether or not they like a brand – whether or not it’s speaking to them. Pagezii – As a Creative Director, what has been a memorable campaign for you? Gabriella – Throughout 2016, we were working with Nutram Pet Products, a holistic pet food brand. The company was already creating pet foods for some of Canada’s most well-known brands before launching their own brand, so they knew they had a great product, but they had very little brand recognition. In partnership with branding and packaging design firm Reset Branding, we brought Nutram’s story to life through original photography and fresh content. We also developed the Optimum Transition Challenge campaign, where we followed along as influencers switched their pet food to Nutram. We engaged Jillian Harris (of Love it or List it Vancouver) as a spokesperson, creating a video series with her, and working with the experts at Nutram to ensure a smooth transition for her dog Nacho Cilantro. It was a great example of a project that brought our different service offerings together. Pagezii – How has branding changed with the digital age? Gabriella – In a sense, marketing has always been a competition for attention. Initially, going online was a great way to set yourself apart and demonstrate your adaptability while reaching a young, affluent demographic with a lot of influence. When digital channels were new, just being there might have been enough to position a brand as forward thinking. Brands are trying to recreate this effect by making forays into newer channels and emerging technologies like wearables and VR, but the fact is that people have to choose to spend time with your brand. You have to create something that people want to be part of. I also notice brands trying to create “the right” kind of digital content without paying enough attention to the company offering itself. Marketing can’t make up for a lackluster product or disappointing customer service. Pagezii – What advice would you give businesses building a brand in 2017? Gabriella – Social ads are revered for their effectiveness – and they do work, but you can’t make up for flaws somewhere else in the customer experience by increasing ad spend. You can burn through a lot of money this way without actually getting through to customers. Listening to customers is also extremely important. If you pay attention, you’ll find that they give invaluable, actionable feedback. I would also advise brands to view agencies as partners in their business. Let them look at your brand through a critical lens so they can figure out what your real underlying marketing problem is. They know what works online and off, and they know the little things that might not seem like a big deal but can turn customers off. Remember that they want your campaign to be a success just as much as you do. Without this strategic approach, you could be spending money in the wrong places while neglecting real opportunities to connect with customers. Pagezii – Thank you, Gabriella, for your very insightful views.